A search team led by the Woods Hole Oceanographic Institution (WHOI) has located the wreckage of Air France Flight 447 some 3,900 meters, or nearly 2.5 miles, below the surface of the Atlantic Ocean off Brazil’s northeastern coast. The team left the port of Suape, Brazil, aboard the vessel Alucia on March 22, arriving at the search site on March 25. 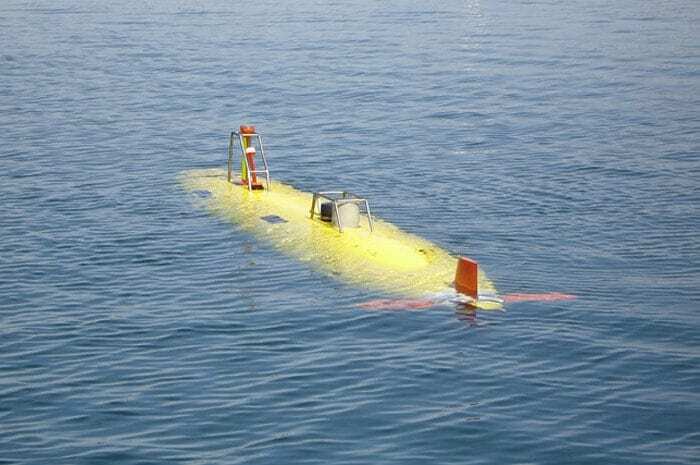 After one week of searching, one of the mission’s three autonomous underwater vehicles (AUVs), the REMUS 6000s, detected debris on the seafloor. 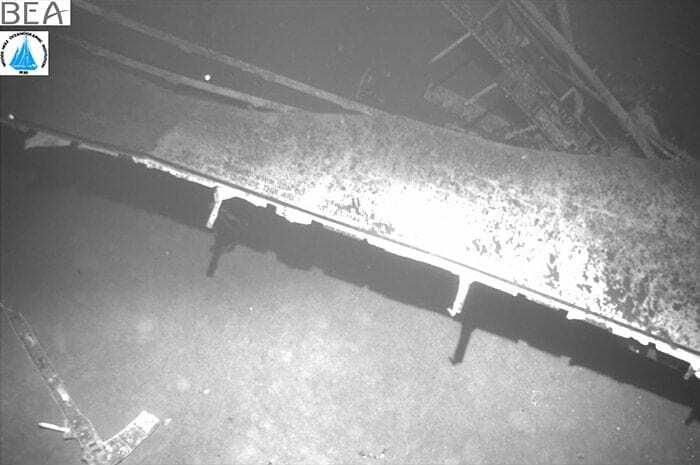 A second vehicle was dispatched to the area for more detailed sonar mapping and photographic imaging. The images it brought back were relayed to BEA, French air safety investigation authority, which identified the wreckage as the Airbus A 330. All three REMUS vehicles are currently mapping the area to get a comprehensive view of the accident site. Flight 447, a scheduled commercial flight from Rio de Jeneiro to Paris, crashed into the Atlantic Ocean on June 1, 2009, carrying 216 passengers and 12 crew members. WHOI led the search under the direction of the BEA, Bureau d’Enquêtes et d’Analyses. The search mission was the fourth attempt to locate the aircraft. WHOI also participated in the third search effort. WHOI Senior Engineer Mike Purcell was the chief of sea search operations for the mission. 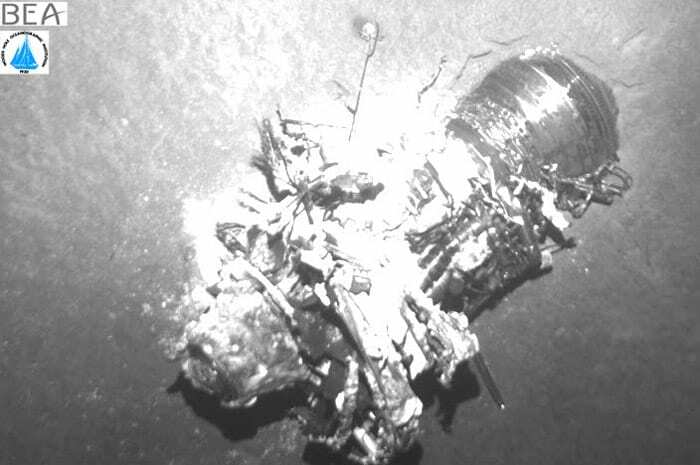 “We were confident from phase three [the last search attempt] that if we were searching in the right area, the vehicles’ sonar could pick out the aircraft,” said David Gallo, the project leader at WHOI. That success came just one week into the latest mission “attests to the efficiency of the vehicles and the competence of this team,” said Purcell. 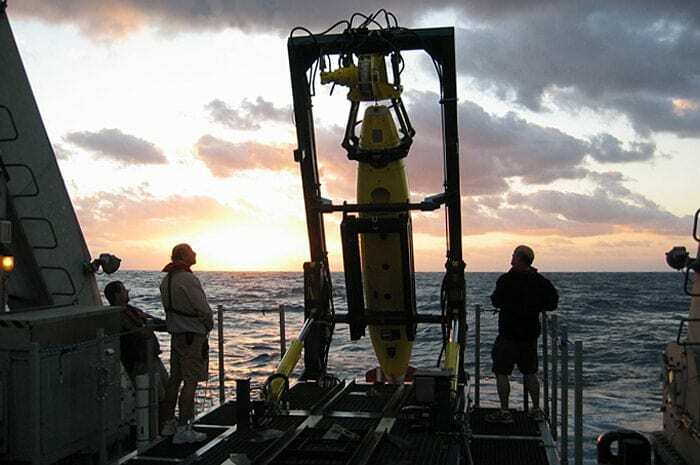 “We are honored to have been part of this effort to locate Air France Flight 447 and proud to be able to bring hope of resolution to the families of the victims,” said Susan Avery, president and director of WHOI. 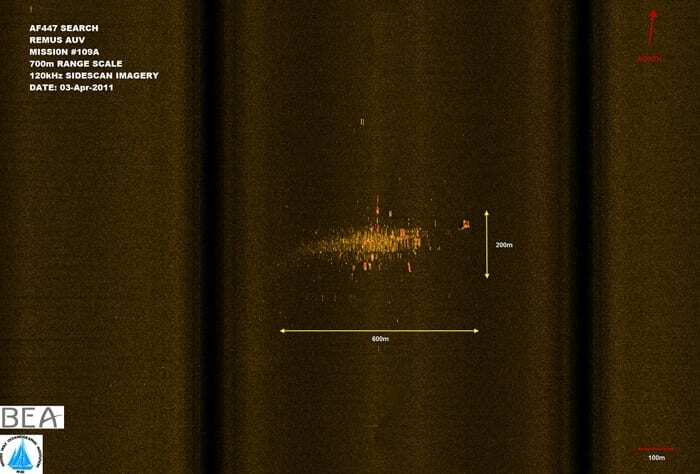 The search was targeted in an area of about 5,000 square miles, about 500 miles off northeastern Brazil. 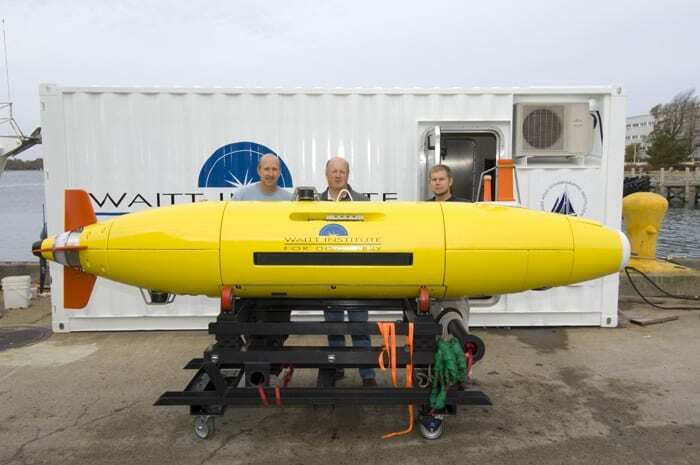 The REMUS 6000 AUV was designed by WHOI under a cooperative program involving the U.S. Naval Oceanographic Office and the Office of Naval Research, and built by Hydroid, Inc., of Pocasset, MA. Two of the vehicles are owned by the Waitt Institute and operated by WHOI; the third is owned and operated by Leibniz Institute for Marine Sciences IFM-GEOMAR of Germany. These vehicles are designed to operate in depths up to 6,000 meters (19,685 feet or 3.73 miles). 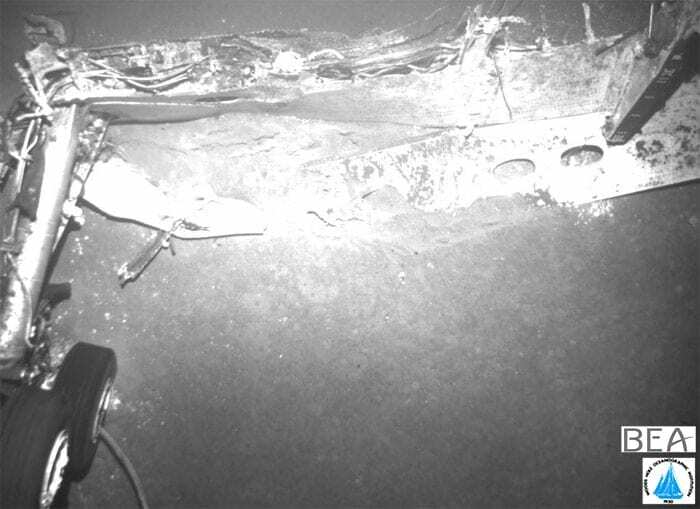 The debris field formed by wreckage of Flight 447 as it appeared on sidescan sonar images taken by one of the REMUS 6000 vehicles. WHOI was searching the area for the missing plane with the French aviation investigation agency Bureau d'Enquêtes et d'Analyses (BEA).